The opening sequence in Wong Kar-Wai’s Chungking Express is unforgettable. A woman donning a blonde wig, trench coat and dark sunglasses walks through the bustling Chungking Mansions in Hong Kong. She is lit up by neon signs from seedy vendors and her haste is accentuated by the disorienting but mesmerising cinematography style of Christopher Doyle. She walks fast in a world that moves too slowly – almost to the point of engulfing her – and looks back to see if she’s being followed. Released in 1996, Chungking Express is a love letter to Jean Luc Godard and the French New Wave films of the 1950s and 1960s for a younger, more isolated generation. It’s about being young and in love in a city – from Goddard’s delicate and understated Paris to Kar-Wai’s neon and disjointed Hong Kong – where one can feel loneliness and obsession just as intensely. Chungking Express is broken up into two parts, each focused on a police officer and a woman he becomes infatuated with. While thematically similar, the stories do not intertwine with one another, spare a few familiar characters in the background. They are wholly independent, yet are able to speak to a larger narrative of all-consuming infatuation. Officer 223 is lonely. He calls up old flames who have since married and had kids, and obsessively checks his voicemail for someone, anyone to release him from the post-breakup funk that is taking over his life. He projects his woes to the woman in the blonde wig (Brigitte Lin Ching-hsia), who is revealed to be a drug dealer working the circuit at Chungking Mansions. He sits next to her at a bar and asks her if she likes pineapples in four languages until he gets the right one, Mandarin. She doesn’t encourage him, saying that if he wants to talk he should pick someone else. But as the night goes on, they lay down their defences and stay till the bar is closed. 223 and the mysterious woman flip the character conventions of romance and French New Wave. 223 is emotional and willing to do anything for love while the mysterious woman is standoffish and couldn’t be less interested in the prospect. She is actively engaged in a traditionally masculine and dangerous career that channels Humphrey Bogart’s suave bad boy routine in Breathless. At the end of the night, 223 brings the mysterious woman home where she immediately falls asleep. He doesn’t try to wake her up or kiss her, he just stays with her. Before he leaves, he polishes her high heels – because he remembers his mother says a woman should always have nice shoes – and is on his way. Officer 223’s story does not end with love, either from May or the mysterious woman. He reaches the expiration date of his relationship and his self-pity – giving him the chance to move on. He lets himself continue his search for the one while the mysterious woman goes back to business. The second part follows Officer 663 (Tony Leung Chiu-wai) who buys a chef’s salad every night from Midnight Express for his flight attendant girlfriend (Valerie Chow), until she unexpectedly leaves him. Faye (Faye Wong), the plucky, boyish waitress works to The Mamas & The Papas’ “California Dreaming” cranked to full volume. As 663 keeps returning to Midnight Express, Faye finds herself absolutely smitten – doing anything to get his attention from aggressively mopping around him to engaging in brief conversations about wanting to move to California over the counter. One night, 663’s ex-girlfriend drops off a letter at Midnight Express, including the keys to his apartment. Desperate at the chance to be closer to 663, Faye takes the keys and goes into his apartment to clean while he’s on duty. This is where Faye takes over the film. Through a series of montages to a Cantonese version of The Cranberries’ “Dream,” Faye exhibits a high school style giddiness as she touches his sheets, his clothes and even adds fish to his fish tank. She develops a routine and starts spending more and more time at his apartment, until he catches her. The music in this half of Chungking Express exhibits a sense of longing from its characters as well as a nod to Western influences throughout the film. “California Dreaming” is especially prominent in the film, anytime Faye is working it is nearly played to exhaustion. Faye is obsessive. From her admiration of 663 to her nonstop playing of the 60s classic, she doesn’t know when she’s going too far – if ever. She is young and foolish in love, contrasting 663’s calm and collected nonchalance. She says I love you by knowing him as intensely as she knows every inch of his apartment, or the words to her favorite song. Up until this moment, 663 is blissfully unaware of Faye’s infatuation with him. He’s too deep into his own brooding – manifesting in the form of flashbacks of his ex-girlfriend and conversations he has with the objects in his home. When he sees Faye in his apartment, he is angry and confused, but he is also snapped out of his delusion and sees what is right in front of him. Newly enamoured by Faye’s unconventional charm, 663 asks her out to drinks at The California Bar. He waits and waits until her boss comes inside to tell him she’s not coming: she’s going to California. She leaves him a letter, which he doesn’t read, and he settles back into his funk. A year later, Faye comes back to the Midnight Express as a flight attendant, more mature and put together than how she left it. She finds 663 and discovers that he has gained ownership of the shop. They reunite and plan to go off somewhere, anywhere – as if no time has passed at all. Chungking Express is a declaration of love to some of cinema’s defining love stories while turning those classic conventions on their head. It’s a masterful symphony of well-intentioned but flawed characters, dream-like cinematography and settings that live and breathe with the story. It effortlessly visualises the complexity of human relationships and isolation through the neon haze of Hong Kong in the late 1990s while still maintaining relevance in a mobile dating generation that accepts isolation and obsession as par for the course. 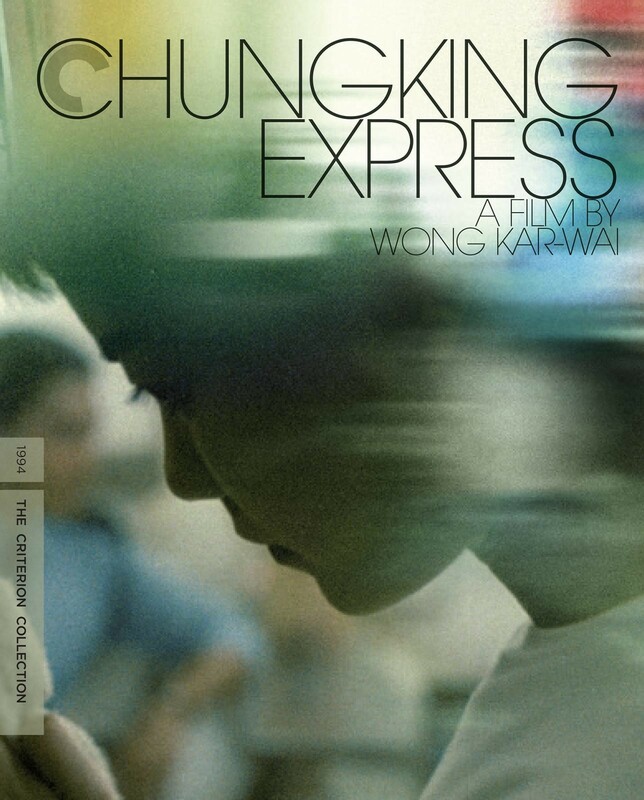 You can view Chungking Express on Criterion here. Cody Corrall is a visual journalist based in Chicago. 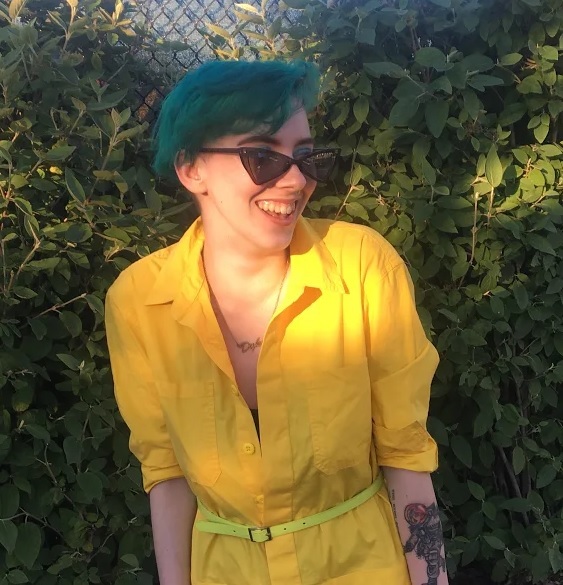 They are currently studying journalism and media & cinema studies at DePaul University and serves as managing editor at 14 East Magazine. At any given time, they are probably writing about social activism, entertainment and queer theory. You can find them wandering the world wide web on Twitter, Instagram and Letterboxd.